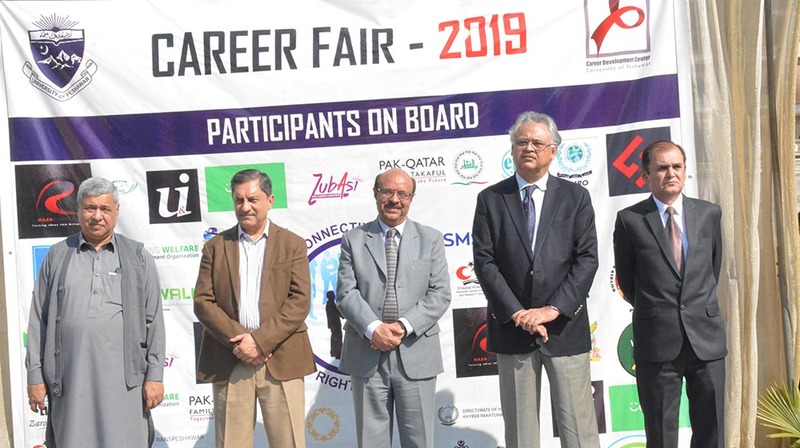 The First-ever Career Fair inaugural ceremony guests are standing to give a signature ovation to the participating 40 local,national and international companies for sharing HR and career pathways for students of University of Peshawar on 06th March,2019. 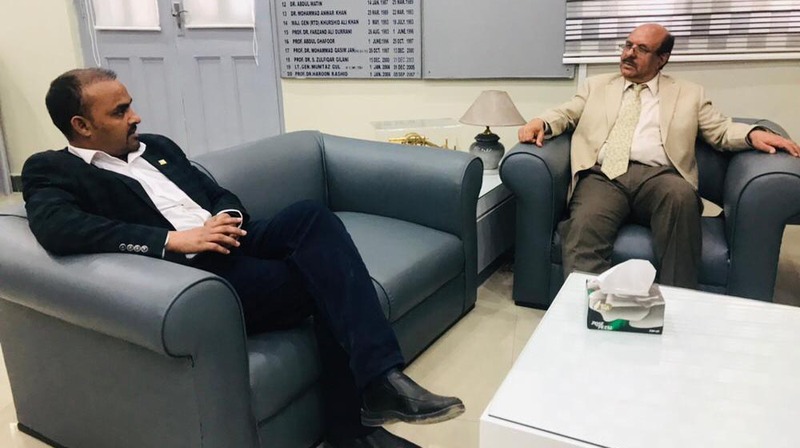 The student alumnus of social work department University of Peshawar in the year 2004 currently member of National Assembly on minorities seat Jamshed Thomas is sharing his thoughts with the Vice Chancellor University of Peshawar Prof.Dr.Muhammad Asif Khan on minorities issues at VC's office. 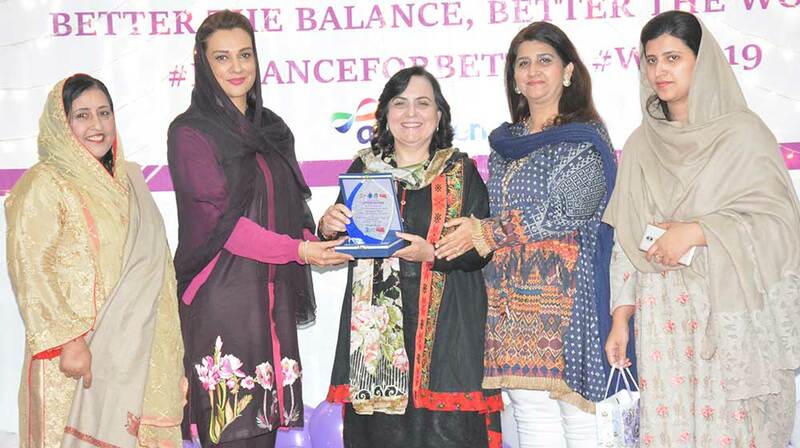 Prof.Noor Jahan chief guest on International Women's day event at TCC hall is handing over shield to guest of honor Ms.Ayesha Bano, MPA, before her departure from the function on 08th March,2019. Khyber Pakhtunkhwa information minister Shaukat Ali Yousafzai is delivering a speech at the 'Quran Conference' at the Convocation Hall University of Peshawar on 27th February,2019 to disseminate a message of interfaith harmony, peace at borders and peace with one selves. 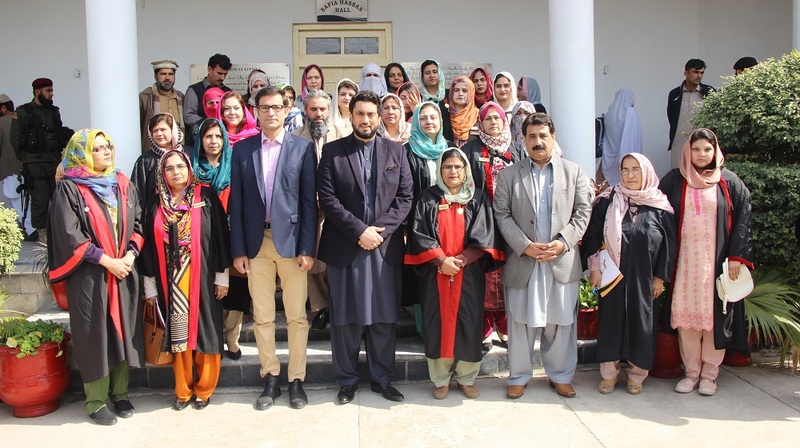 Minister of State for Interior Shehryar Khan Afridi and Registrar University of Peshawar Dr. Zahid Gul is posing with faculty of Jinnah College for Women at the annual prize distribution ceremony on 23rd February, 2019. The Vice Chancellor University of Peshawar is chairing the meeting of Finance & Planning Committee to review budgetary allocations and reforms agenda of the administration among all key stakeholders at committee room I on 26th February, 2019 . Vice Chancellor UoP Prof. Dr. Muhammad Asif Khan is handing over the memento of participation to the International Red Cross sub-delegation head at Peshawar Giovanni Trambaiolo at ICDM-2019 entitled as Climate Change adaptation and resilience , conference organised under the auspices of CPDM, UoP. Participants of the inaugural session of the International Conference on Disaster Management ICDM-2019 on Climate Change adaptation and resilience at UoP are posing along with VC UoP Prof. Dr. Muhammad Asif Khan organized under the auspices of Centre for Disaster Preparedness and Management. Vice Chancellor UoP Prof. Dr. Muhammad Asif Khan along with Chairman Pakistan Red Crescent Society Lt. Gen. Retd. Hamid Khan posed for a photo after signing MoU to boost collaboration under global declarations and national policy frameworks at ICDM-2019 on 13th February, 2019. UoP officials along with Worthy Vice Chancellor is posing for a group photo after signing a memorandum of understanding with State Banks' subsidiary National Institute of Banking & Finance to promote national financial literacy program among youth of University of Peshawar on 19th February, 2019. His Excellency Yemen Ambassador to Pakistan Mohammed Mohatar Alashabi is receiving souvenir from the Vice Chancellor, University of Peshawar Prof. Dr. Muhammad Asif Khan before delivering a presentation at the department of History on 27th February, 2019. Faculty member of International Relations Khurshaid has successfully defended his PhD dissertation entitled as "Regional geo-political trends and responses of Pakistan,China and India ' on 13th March,2019 under the supervision of Prof.Dr.Nasreen Ghufran. NDU's Professor Dr.Amna Masood . dean faculty Dr.Bushra Hamid and Dr.Hussain Shaheed acted as examiners during the defense. Yasir Arafat,a PhD scholar of economics has defended his dissertation "An analysis of the role role of the Independent Power Producers in the GDP and demand for energy in Pakistan (1990-2015) on 11th March,2019 under the supervision of Dr.Naila Nazir. Students of University of Peshawar are receiving certificates from chief guest Prof.Dr.Noor Jahan after winning the face painting and mehendi at the eve of International Women's day function organized under the aegis of Peshawar University Teachers Association women officer bearers. BS' discipline Students of Jinnah College for Women in group form are receiving certificates during a function after a one week Community Services Program resulting in planting 500 trees,donating blood bags,collecting funds of 155Krupees for SKMT and PM Dam funds along with bringing afresh look to College in decoration and cleanliness drive. Students of University of Peshawar are showcasing their talent in arts & design and textile and designing to the visiting Industries and trade portfolio holder Abdul Karim at the first-ever 'Career Fair' on 06th March, 2019 at Sheikh Taimur Block. Controller Examinations Dr.Syed Fazli Hadi is awarding the cash prize to one of the 2016 convocation gold medalists Maryam Hayat in the discipline of International Relations announced by the former Governor/chancellor Engr.Iqbal Zaffar Jhagra on 2nd November,2016 on 11th March,2019. 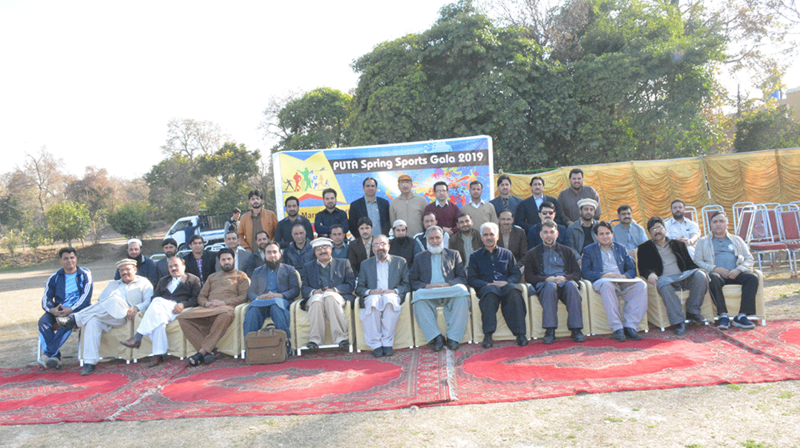 Dean faculty of Islamic and Oriental studies Prof.Dr.Meraj-ul-Islam Zia is hitting the ball to launch this year PUTA orchestrated 'Grand Sports Gala' at Hostel II for faculty of University of Peshawar. 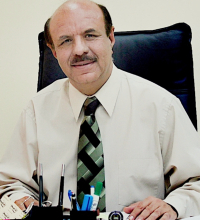 Gohar Ayub, a Phd scholar of Statistics department has successfully defended his dissertation entitled as "Variance of maximum likelihood estimates for the hidden Markov model with multipartite graph structure transition" on 8th March,2019 under supervision of Prof.Dr.Muhammad Iqbal. Prof.Nakahara from Japan,NIFA principal statistician Dr.Muhammad Amin and GC University Lahore Dr.Sohail Akhter and Dr.qamar Zaman can be seen in the snap. Scholar Akbar Ali has successfully defended his Phd dissertation entitled as "Environmental Concentration of heavy metals in water,soil and vegetables and their impact on human health in district Mardan" at the department of Environmental Sciences,University of Peshawar.The supervisor of the research was Prof.Dr.Hizbullah Khan.Dr.Said Akbar from Bahria University and Dr.Zahid Ullah from from Allama Iqbal Open university and internal examiner Prof.Dr.NoorJahan can be seen in the snap. Female Students of department of Journalism and Mass Communication are posing along with Deputy Speaker Khyber Pukhtunkhwa assembly Mehmood Jan during a five day training organised under the auspices of Women Media Centre in Peshawar from 26 Feb to 02 March, 2019. Ms.Tauheeda Anjum, has defended her Phd dissertation successfully on 8th February at Institute of Education & Research. Her thesis entitled as "The Reciprocal reading strategy to improve reading comprehension in self directed learning' under the supervision of Prof. Dr. Arshad Ali. 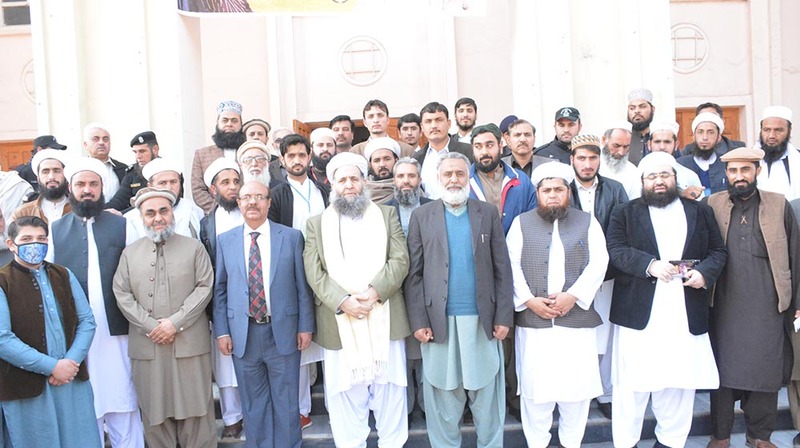 Students of IPCS and North Waziristan Post graduate College pose for a group photo after an interactive session at the Conference hall,IPCS spearhead by Prof.Dr. Hussain Shaheed Soherwardi on 14th February,2019. North Waziristan's Miran Shah Post graduate college students along with faculty are planting a tree of Araucaria at SSAQ lawn,at University of Peshawar to be part of green and clean Pakistan drive during their one day long visit under auspices of Pakistan Army. Former Chief Secretary of Khyber Pakhtunkhwa and faculty alumnus of Department of English and Applied linguistics,Syed Abdullah is posing before gracing the departments' seminar series lecture on 18th February, 2019. Prof. Dr. Rubina Rahman is receiving Aus-Aid annual award on account of her services at English department University of Peshawar for academic excellence from deputy speaker Khyber Pakhtunkhwa assembly Mehmood Jan, on national women day on 11 February,2019.